WHEN a team allows Kilkenny to score eight points in the first eight minutes of a National final being played in Nowlan Park, they can’t really expect to come out on the right side of the score-board at the end – and that is what happened yesterday with the Cats collecting their third successive title in a game that went to the wire. They were relentless early on but the manner in which they allowed a 10-point lead slip will be used well by manager Ann Downey in their preparation for the Championship. “We really gave it everything in the first 20 minutes,” said the winning captain, Shelly Farrell. “We went all at it, but you can’t sit on a lead against Cork. They are just too good. Miriam Walshe, Jenny Clifford and Katie Power were prominent in general play, while Player of the Match Denise Gaule orchestrated the show from midfield and converted four early frees as Kilkenny hit the ground at full pace. Kilkenny pulled 0-11 to 0-1 clear and finished the opening half 0-12 to 0-5 to the good, but there were signs that Cork were improving with Ashling Thompson dropping back in front of her defence, allowing more creative freedom to Gemma O’Connor. Then when Orla Cronin scored a brilliant solo goal seven minutes into the second half, it was game on. However Kilkenny responded with a couple of points from Miriam Walshe and Aoife Doyle and those scores effectively won the game as Cork gradually closed the gap with some excellent scores from Katrina Mackey. The turning point came in the 47th minute when Liz Collins kicked wide after bursting through. She still gained a free from which Orla Cotter pointed, but it wasn’t enough, particularly when Kilkenny earned a penalty soon after. Aoife Murray picked up a red card for the challenge and, although the penalty was saved by Thompson, Kilkenny played out the game away from their own danger area and saw out victory for a 13th title. 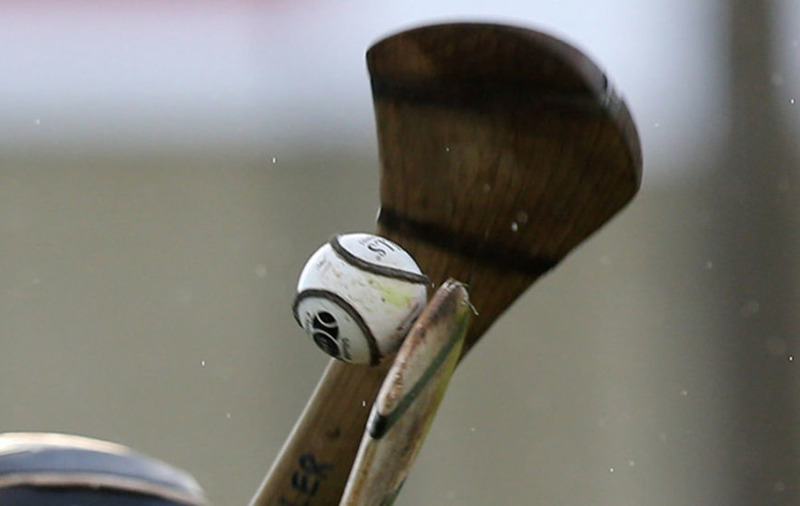 Kilkenny: J Frisby, C Phelan, C Foley, G Walsh, M Teehan, M Farrell, D Tobin, A Dalton, D Gaule 0-6, 0-5 frees, A Doyle 0-1, K Power, S Farrell 0-1, M Quilty, M Walshe 0-3, J Clifford 0-2. Cork : A Murray, L O’Sullivan, L Treacy, P Mackey, L Coppinger, G O’Connor 0-1, C Sigerson, A Sheehan, A Thompson 0-1, O Cronin 1-1, O Cotter0-3 frees, K Mackey 0-2, L Collins 0-3, N McCarthy, A O’Connor. Michaela Morkan, returning from injury, and Arlene Watkins were exceptional for the victors while Meath’s stars were more in defence, with 1-5 of their total coming from frees – and they also failed from a ninth minute penalty. Gráinne Egan scored the first of her two goals from the next attack and Sinead Harding struck first-time off the sod for a 25th minute goal that gave Offaly a 2-8 to 0-4 half time lead. Orlagh Kirwan, Grace Teehan and Mairéad Jennings added good scores in the second half and Gráinne Egan deftly flicked home a second goal. Meath kept battling and Aoife Maguire blasted to the net near the end, but the game was over and Offaly have the boost they needed going into the Leinster Championship. Offaly: G Egan 2-1, S Harding 1-1, P Delaney 0-5 (0-3 frees), M Morkan 0-4 (0-2 frees), L O’Sullivan 0-2, O Kirwan 0-2, G Teehan 0-1, M Jennings 0-1. Meath: A Maguire 1-2 frees, J Dolan 0-3 frees, M Thynne 0-1, G Coleman 0-1. THE result of this game mattered little to where either team finished in the table, but Derry manager John O’Dwyer will be very pleased to complete his programme of games on a positive note after an injury-blighted campaign. With Áine McAllister accurate from placed balls and goals from Mairead McNicholl and Grainne McGoldrick the visitors to the Kildare Centre of Excellence at Hawkfield enjoyed a 2-11 to 1-5 interval lead. Although first half goal scorer Melissa Lyons tapped over some nice scores during the second, there was no chance of Derry losing their grip on the game and a goal from Dervla O’Kane iced the cake on a good performance for Derry ahead of the Ulster championship next month. Kildare : Melissa Lyons 1-5, Ciara Egan 0-3, Emer Reilly 0-2, Dearbháil Kelly 0-1. ARMAGH gave a good account of themselves once more in this game in the capital, but they couldn’t sustain the performance during the latter end of the second half. It was also noticeable that Dublin had a range of scorers, eight in total, while Armagh relied heavily on the excellent Ciara Donnelly who scored all but a point of their total. Ciara’s goals came during the first half and Armagh were just a single point in arrears at the break, 2-5 to 2-4. Armagh : Ciara Donnelly 2-7, 0-4 frees, Lianne Donnelly 0-1. KILKENNY made it a great day all round when their seconds team edged out Laois in an evening throw-in game. They were already through to the league semi-finals after defeating Tipperary last week, but the win last night sets up a semi-final with Cork, while Westmeath will be playing Dublin. 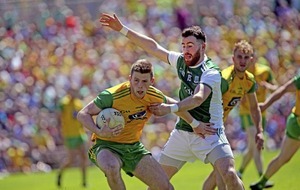 KERRY have, as expected, qualified for the final against Roscommon. IN THEIR first home game of the season, Down bounced back after heavy defeats to Laois and Carlow to record their first win and leave themselves with a chance of reaching the Minor B Shield final but it was a tense finish in An Ríocht. Saoirse Sands scored two goals in the opening ten minutes to give Down a great start while Cerys Clarke, Beth Fitzpatrick and Ally Magee defended well and at the break Down led by 2-4 to 0-8. They also started the second half well and extended their lead to five points going into the last fifteen minutes. However Roscommon closed the gap to a single point with three minutes remaining. The game finished in a welter of excitement with Aoife McDowell goaling for Down and this was quickly followed by a Roscommon goal scored by Kathy Jones. 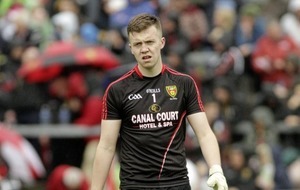 But Down’s defence held out and they will reach the Shield decider if they beat Meath this coming weekend.